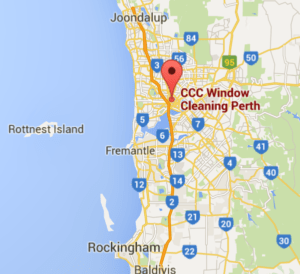 Welcome to CCC Window Cleaners West Perth. The Last Window Cleaners You Will Ever Need. Our window cleaners in West Perth offer a vast array of window cleaning services for both residential and commercial customers. Windows on the majority of West Perth buildings can be washed with the pure water technique up to 8 storeys high. Where necessary we employ elevated work platforms or rope access techniques. The reach and wash method has revolutionized West Perth window cleaning. Pure water is used to clean windows in West Perth up to 70 feet or more. As our local West Perth window cleaners can use this technique with their feet safely planted on the ground, there are no safety risks pending its use and many previously hard to reach windows in West Perth can now be cleaned with relative ease. We also employ the latest internal window cleaning methods ensuring that even internal windows at a height are cleaned safely and effectively with our ladder-less reach and clean systems. How does the pure water or ionic water-fed pole system work? Put simply, since the treated water is lacking in ions it is a powerful cleaning agent that attracts dirt lifting and washing it off the glass. Since the treated water is stripped of minerals, the windows and frames dry spot free. Similar to using a squeegee the water-fed pole technique is harder than it looks and requires training, experience, and skill. Our water-fed pole technicians are trained in both traditional and pure water techniques. Rest assured, we will choose the safest, most affordable and highest quality combination option specific for your West Perth building. West Perth Window Cleaning Projects. 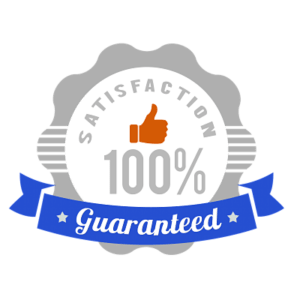 From regular window cleaning to remodeling to periodic window clean-ups, you can choose from many methods that best suit your requirements and needs. Here are a few commonly used window cleaning services. Regular Window Cleaning in West Perth. Regular window cleaning is an affordable service that ranges between 5 to 20 dollars per square feet. You can request for regular window cleaning at any time. It is an important service that proves to be useful at regular time intervals. You can make use of regular window cleaning services without a specific schedule in mind. Window cleaning plays an integral role in all homes and offices. To avoid permanent damage and a hefty maintenance charge, windows must be cleaned periodically. This is when routine cleaning from professional window cleaners becomes useful! In general, windows should be cleaned once in every three to four months. Routine washing will prevent dust &amp; dirt from accumulating over a longer period of time. Also, routine cleaning is several times cheaper than massive clean-up plans. This is because thick layers of debris and grime require more time, labor and cost to be cleaned! Post Construction and Re-Modeling Window Cleaning Projects in West Perth. Post construction and re-modeling are expensive window clean-up routines. The service is offered by professional window cleaners in West Perth with several years of experience. Often, construction projects can become very messy and unpleasant. This is when caulk, residual paint, silicone and cement causes stain marks on your window glass. Specialized, Eco-friendly products should be used to remove these marks. Also, you must make sure metal scrappers are not used on glass. This is because improper use can leave scratch marks on the window surface. Renovation Window Clean Up Services in West Perth. Last but certainly not least, renovation cleanup will help you treat windows with dust, cement and paint. Renovation cleaning will improve the longevity and overall appearance of your windows. To be more precise, renovation clean-ups are powerful routines that can give your glass a brand-new-feel. Our skilled technicians local to West Perth treat all projects no matter how big or small with the same professional outlook. We don’t cut corners, we clean them! This is why our customers keep returning and why approximately 95% of our customers are regular clients.